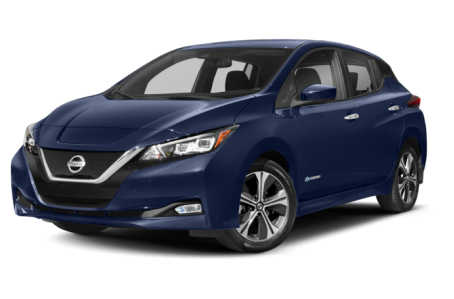 The 2019 Nissan LEAF is an all-electric compact hatchback that was redesigned last year. It is driven by a 147-hp (110 kW) AC synchronous electric motor and a 40-kWh lithium-ion battery. Compared to its predecessor, it has increased range by 40%. Three trims are available: S, SV, and SL.